A message to Liberal Democrats everywhere. 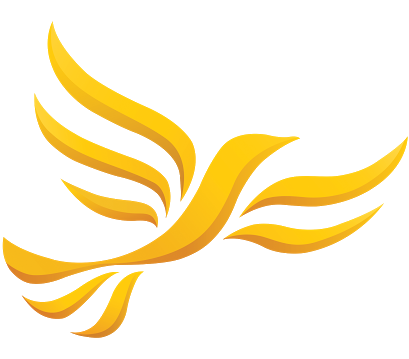 What do the Lib Dems do now? Here’s a refined Liberal message. It’s a starting point. “We exist to protect those without power. Post it on your Facebook page, re-blog it, have it adopted by your local party, write to what’s left of the Parliamentary party to get them fired up and agreeing … The future starts today. I agree with your article wholeheartedly Yolly, and that is why I still voted LibDem – though had I the choice of voting Green I would have done so out of frustration with the party I have supported since it was the Liberals and throughout its incarnations – Vince Cable defending the infamous ‘zero hours contracts’ knocked the last nail into the coffin of trust in the Lib Dems. “… the biggest problem yet is that you can get millions of votes (out of a population of approximately 64,000,000 people – and ten frustrating minutes trying to find the numbers who can vote found this http://www.bbc.co.uk/news/election/2015/results which says the voting population is 46 million) and only one MP. For example the Green Party got over a million votes and got one MP – and Plaid Cymru had just over 181,000 seats and got 3 MPs. UKIP had over 3 million votes and got one seat. The SNP got 56 seats from a million and a half votes. The Lib Dems got nearly 2.5 million votes and got 8 seats. I really think that everyone lost (except the plutocrats) in this last election – yet Hope Not Hate managed wonderful things, they had tens of thousands of volunteers out distributing leaflets with real statistics and cogent arguments on them to dispel the hatred spread by UKIP and any other extremist party – Hope not Hate started out a few years ago by opposing the then rise of the BNP and did better than anyone could have hoped – so there are a few rays of sunshine amidst the gloom and despair (I can give you the numbers they had out on the streets from their email to me if anyone is interested). I know in the United States that setting the lines of electoral districts is a big contributor to the fact that legislative bodies don’t reflect the beliefs and goals of the people they are supposed to represent. “Gerrymandering” we call it – and it started as soon as we were a country. But I gather the UK has the same problem. There’s a petitin started to try to redress this – http://www.thepetitionsite.com/726/346/684/PR/ I’m sure there are other factors as well, but this one is fairly blatant. Have sent email to you Yolly – hope it gets there, please tell me if it doesn’t….